Jesse Slowikowski was born in Baltimore, Maryland and spent the majority of his summers in Ocean City Maryland, where he built an affinity for the beach and surfing lifestyle. Jesse attended the University of Maryland at College Park where he graduated with a BS in Kinesiology and groomed his “inner fan” as a Terp. After graduation, he joined his family on the Outer Banks of North Carolina where he worked alongside his brother in his father’s insurance, remediation and restoration company. The Outer Banks, while being beautiful and truly special, lacked a few necessities that Jesse wanted in his life. Drawn to a city with a rich history, warm weather and palmetto trees, Jesse moved to downtown Charleston in 2009. 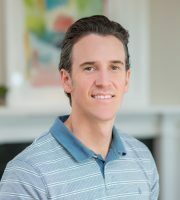 Wanting to incorporate the beach lifestyle, Jesse later moved to Folly Beach in 2010 where he found everything he wanted; a historic city he loves just ten minutes away and a quaint beach town that offers the best surfing in the area. Along with warm weather, the beach and surfing, Jesse loves and enjoys his girlfriend, Gabby and cat Kai, family, friends and traveling as much as possible.